Yoga is at least 3500 years old, because in India have already been found statues showing typical positions. Even though it has an Indian origin and has been influenced by Hinduism, it is a system of its own and is neither under a religion nor is a faith excluded. It is translated as "harmony, unity". The basis of daily yoga exercises is "stretch, relax, breathing techniques". Thus, the concentration and the circulation of the blood increase. By controlled movements during the exercises and by conscious breathing the heart is strengthened. With proper execution of the exercises the deposition of minerals and toxins in the arteries and bones can be eliminated much easier. Many yoga positions help about it by harmonizing the hormonal gland such as the thyroid gland. It protects the body against toxins and produces hormones, that contribute to the renewal process. In fact, the regular yoga exercises can even help in treatment of diseases. Self-healing powers are activated, that have a positive impact on such complaints as migraine or high blood pressure. Of course, daily yoga can't replace medical treatment, however it will support it. In addition, yoga positions help during the relaxation. So, the body can relax and regenerate. The exercises will help also to reduce the stress and to prevent stress from creating. By regular execution of the exercises, in a stressful situation can be observed a conscious relaxation and a deeper breathing. Especially today back problems are more acute and have become almost a widespread disease. Back pain may be caused by incorrect posture and can make life difficult. Using yoga exercises you have the possibility to do something about it. By learning the correct body posture, you can feel better in your body. In this way, sustainable and permanent back pain can be avoided. With yoga positions you can align your mind, experience in a positive way breath and body in order to alleviate stress and to find yourself. The exercises help you to live your everyday life in a much more relaxed way, because with these exercises mind, body and breathing come into harmony. So, when it comes to the crunch, you are more satisfied and relaxed. For example, thereby, you can also give up negative behaviour patterns. The exercises also have a positive impact on the creativity and the living conditions. Ayurveda is one of the oldest Indian healing arts, the aim of which is to implement a balanced relationship between body and spirit. It has to make possible a long and healthy life. This massage technique is suitable in particular for the prevention of diseases, as well as to improve your general condition. Combined with daily yoga exercises the treatments of stress-related problems, such as migraine or burn-out can also help. But also in case of complaints such as back pain, asthma and overweight Ayurveda treatments can significantly increase the mental state. 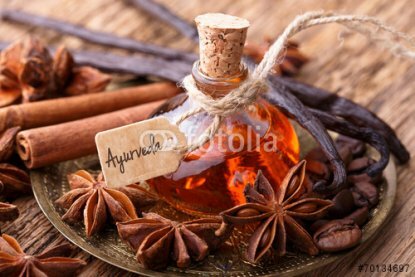 The Ayurveda therapy is understood as a complement to conventional medicine and is used in particular by long-term treatments. By psychosomatic or chronic complaints very positive results can be identified when long-term application. However, Ayurveda is more than a simple massage, since it teaches healthy lifestyle and shows the way how diseases can be treated in a natural way. The entire person is the centre: spirit, soul and body should be brought into line. The natural self-healing powers are activated by daily yoga exercises, breathing techniques, sounds and smells. 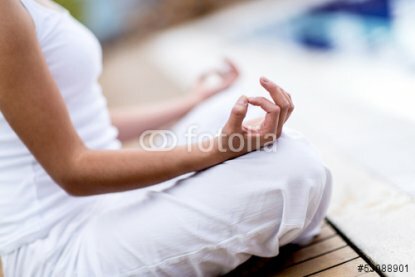 Meditation and breathing techniques are important elements when doing exercises, both help for inner calm and contemplation. In this way can be found peace and happiness as well as new ideas, insights or solutions. Meditation helps to reduce stress, as it relaxes the nervous system. Through the right meditation the hormonal balance can be harmonized and the immune system strengthened. Your thoughts can also come down, so that you can be more relaxed about everyday tasks and so, your concentration is stimulated. With the simplest exercises you can also meditate alone and learn to relax. The meditation as well as the correct breathing technique during the application is also crucial. They are called Pranayama and revive spirit and body. Especially when dealing with stress Pranayama helps very clearly. You can decide for yourself whether you want to activate yourself or to calm down. Through the breathing techniques you will have access to your life energy and the control over it.